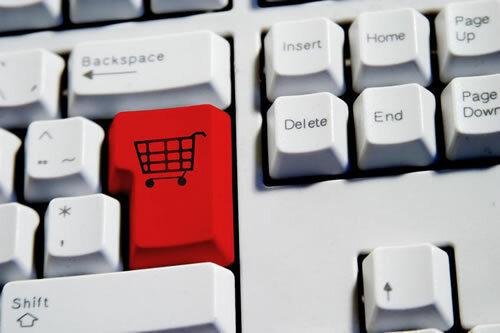 If you own an eCommerce website, what are you doing to get your website noticed? How are you competing with other eCom sites ? As we all know that eCommerce Sites are becoming more and more popular; you can’t swing a mouse round a search engine results page these days without hitting half a dozen people who want to sell you something. No matter where you go there’s always someone somewhere who will sell what you’re looking for at a better price. Assuming you’ve got all the onsite SEO looking hunky dory you need to get out there and start building some links and getting some traffic. So where does a good eCommerce Website go for some traffic? No matter what industry you’re working in or what you’re selling you need to get a blog. Talk about your products once in a while but use it to build yourself a reputation, become the authority on what ever it is you’re selling. Set up Google alerts so any time anyone talks about you or something in your industry you can post your response. Create ‘top ten’ lists and ‘how to guides’ these attract natural links and before you know it your blog will be an authority. No matter what you’re selling you’re going to have a target audience and that audience is bound to have some corner of the internet they like to hang out in. Whether its specialist blogs, forums or specific social media sites you need to make sure you’re getting involved. This doesn’t mean forum spamming this means building on your brand identity like you’ve already done with your blog. Leave some helpful comments (don’t just push your products). Even something as simple as Yahoo answers, you might not get any value from any links but you’ll soon start building up your brand reputation. Everybody loves a bargain especially when they think they’re being cleaver. By placing a few discount codes round the web you’re going to get some good quality back links as well as some traffic. If you know what you’re doing with your social media it would also be a good idea to syndicate your discounts round a few social media platforms too. This method is great for general SEO link building and for generating traffic and buzz round your site. Make sure not to go over the top though, just have a few throughout the year that expire after a certain time. Having indefinite discount codes floating around will take away from their value. One of the biggest problems people have with eCommerce Website is they don’t know if they can trust them. Anyone can knock a website up and Photoshop some impressive looking safety logos it doesn’t mean you’re not going to get ripped off so get some reviews. Send a few of your products to people of authority in your industry and ask them if they’ll review them. If you have a good PR department you might be able to get some reviews in the national press which will make you an instant sauce of credibility. The point of this exercise isn’t to get a link it’s to get some good publicity so you can always link out to the people who do the reviews. Internet users love video whether they’re there to shop or just kill some time. This doesn’t mean you need to plaster your site with loads of vids of keyboard playing kittens it means you need to take advantage of the media available to you. In a real shop someone can pick the product up, they can try it on if they want, see how heavy it is and they can get a really good look it. If you sell clothes get some catwalk videos of what your clothes look like when they’re being worn, if you sell cleaning chemicals demonstrate how they work, if you sell pet food create some pet care videos. Whatever you sell and whatever industry you’re in there has to be something you can create a video about. If you’re stuck for ideas type some generic key phrases in YouTube and see what’s most popular. Obviously you can’t copy these outright but they’ll certainly give you some inspiration. And there you have 5 ways to get your eCommerce Website out there and getting some converting traffic.